The early twentieth century was a period of major social and cultural transformation for China, and brought an influx of foreign architects and Chinese architects returning home from abroad. Throughout the 1920s and the first half of the 1930s architects in China enjoyed a period of creative freedom and productivity that would not be experienced again until the end of the century. Architecture was often used as a potent form of imagery to convey modernity in China, especially Shanghai, and the Joint Savings Society Building (1934) remained the tallest building in China until the 1980s. 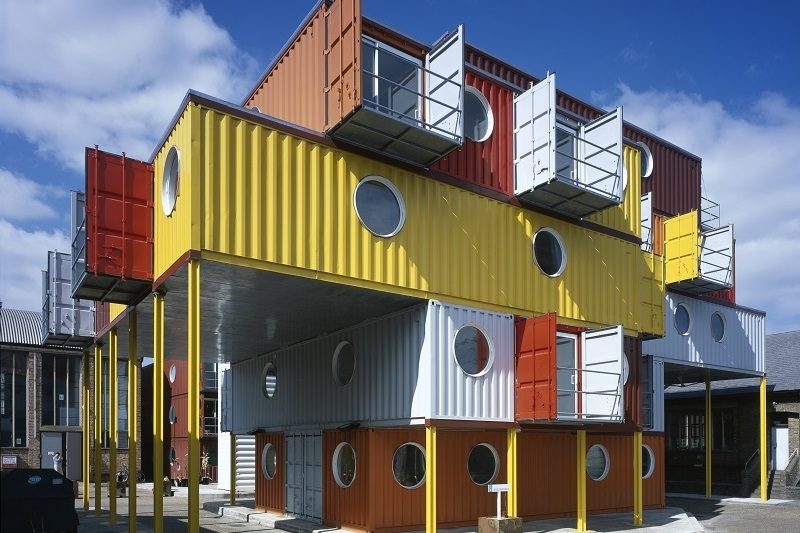 Architecture development in China emerged from stalled years of architecture innovation during the Cold War, to a construction boom in the 1990s that, in size, scale and scope, is unprecedented in human history. China’s record-breaking prosperity since the 1990s has delivered millions out of poverty and in the process has created a playground for architects of all nationalities and calibres. 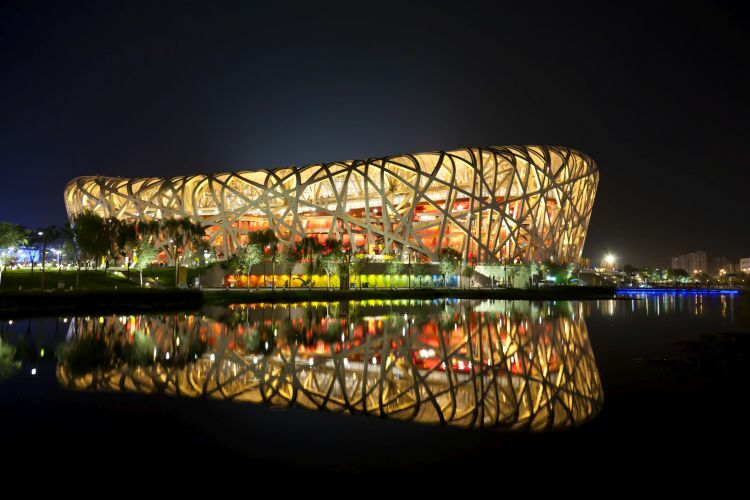 Iconic buildings constructed since the turn of the millennium include the National Centre for the Performing Arts, Beijing (2007), pictured on the homepage, the National Stadium, Beijing (2007), pictured above, and Wa Shan Guesthouse, Hanzhou (2013). Mesoamerica was exceptionally varied in its topography and biodiversity, stretching from tropical lowlands to rugged snow-capped peaks. Settlements could be subjected to hurricane winds, volcanic eruptions, drenching rains, or severe drought. In Mesoamerican culture, the border between nature and architecture was nebulous: mountains, rivers, lakes and fields form the metaphorical building blocks of pyramids, streets, patios and plazas. Teotihuacan, Mexico served as a ceremonial and cultural centre, which would influence architecture in the far reaches of Mayan society. 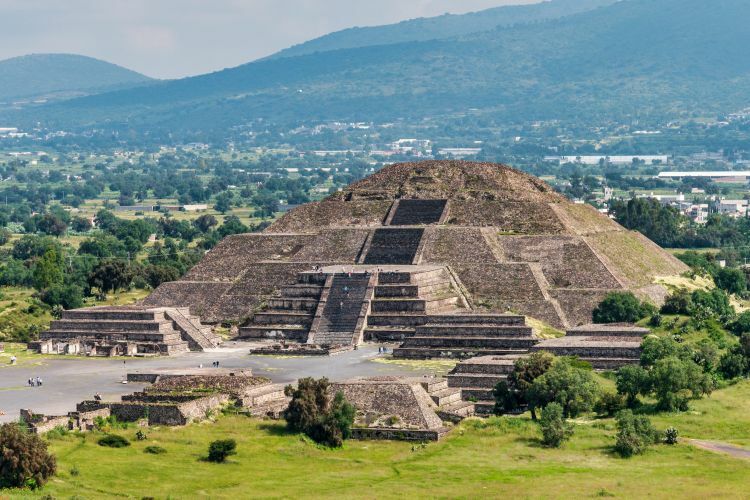 Teotihuacan’s three main pyramids–known as the Sun, Moon, and Feathered Serpent–showcase different approaches to using monumental architecture as a strategy to manifest control of nature. Architectural techniques, like painted talud-tablero façades found far from central Mexico, reveal the impact of Teotihuacan’s architecture across early Mesoamerican culture, and while later cultures would modify this distinct building profile, such variants still seem to hearken back to Teotihuacan’s paradigmatic urban space. Not all architecture remains forever. Urban centers are marked by decaying architectural ruins, while simultaneously revealing an appetite for spontaneous architecture from street markets to pop-up shops to Olympic Parks. Read Tim Edensor’s case for the beauty of ruins in Industrial Ruins: Spaces, Aesthetics and Materiality. Learn more about the growing field of temporary urbanism in the introduction to Ali Madanipour’s Cities in Time; explore how guerrilla gardening relates to urban politics in Urban Design Thinking by Kim Dovey; and delve deep into pop-up shops, which have become the epitome of urban interruptions, in Cities Interrupted.